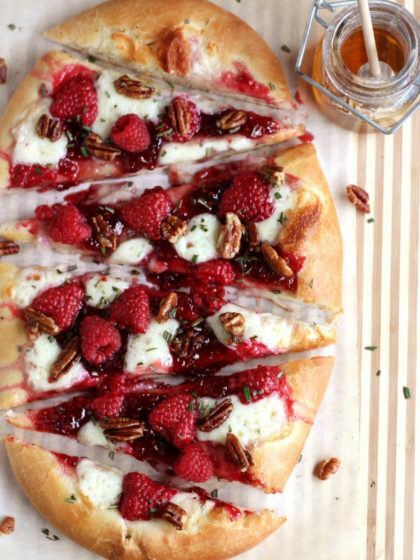 I started with my basic pizza crust recipe and added a bit of honey to help tie it to all the sweet, delicious things I was going to pile on top. 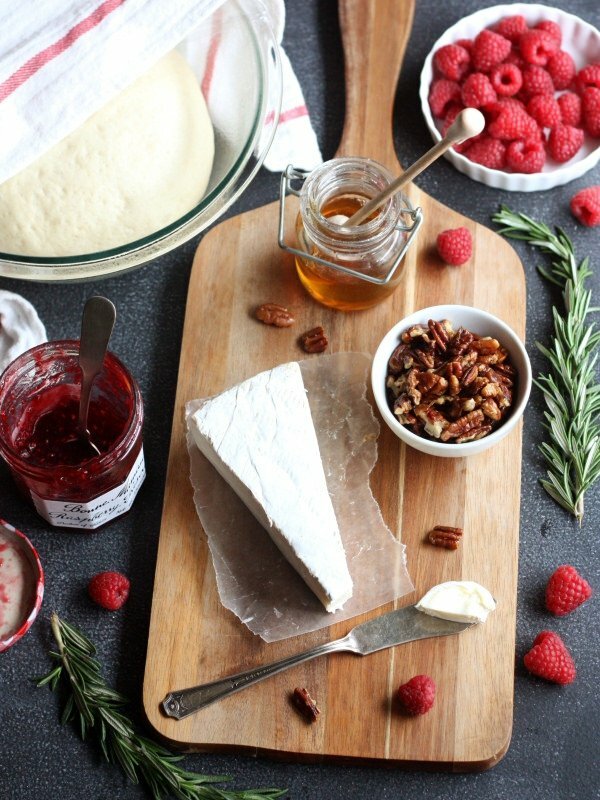 Like slices of brie, raspberry preserves, fresh raspberries and chopped rosemary. And as if that wasn’t enough, I added candied pecans and honey after it came out of the oven. This dessert pizza turned out just as beautiful as I’d envisioned, and tasted ten times better. I think my eyes may have rolled back into my head in sheer ecstasy after that first bite. (I’m sorry, is that too much information?) No exaggeration either, it was really that good. All of the ingredients in this pizza come together to create one unforgettable appetizer, snack or dessert. It’s enough for a crowd, though you may not want to share. Get the recipe – click next.